Super Skinny® Complex penetrates hair to displace water and constrict hair for quick drying and styling. Lightweight silicones smooth, condition and seal hair with added shine. Leaves hair smooth, shiny and frizz-free in any weather. New listingSchwarzkopf Professional OIL Ultime ARGAN FINISHING OIL 100ml / 3.3 fl.oz. Schwarzkopf Professional OIL Ultime ARGAN FINISHING OIL 100ml / 3.3 fl.oz.. Condition is New. Dispatched with Royal Mail 2nd Class. Excellium anti dry serum for coarse, mature hair. Bonacure Hairtherapy from Schwarzkopf. Extra Strength 6 Effects Serum for Thick, Coarse Frizzy Hair - 50 ml. Course and frizzy hair. This serum instantly and dramatically transforms coarse, wiry, unruly frizz for ultra-sleek, purely polished, super-shiny results. $Keune Care Line Treatment Satin Oil 95ml / 3.2 oz Thick Hair - Coarse Hair FREE SHIPPING WORLDWIDE Care Line Satin Oil Treatment is a multi layer oil treatment with a precious bled of nourishing and shining oils. Soft weightless oil is non greasy and instantly being absorbed in the hair. Enriched with Papaya seed oil for extra deep care, to make even the most resistant hair silky soft and shiny. This multi functional formula can be used as a conditioner to nourish and detangle, but also to style and give your hair that extra finishing touch. It protects against heat and makes your hair more beautiful every day FREE SHIPPING We will ship your item within 1-2 days after your payment is clear. I will ship the package as a REGISTERED AIR MAIL, your signature is required. This serum increases colour luminosity, nourishes hair fibres, improves elasticity, improves silkiness, increases shine and provides healthy looking lengths and ends. The addition of Luminescine technology converts UV light into visible light which, in turn, increases the brightness of the hair and makes colour appear more radiant. This serum instantly and dramatically transforms coarse, wiry, unruly frizz for ultra-sleek, purely polished, super-shiny results. Repels humidity to help prevent weather-related frizz. Contains a UV filter to help protect your hair from the sun. FOR VERY DRY, COARSE HAIR. DEEP CONDITIONER. A LUXURIOUS DEEP CONDITIONER INFUSED WITH NOURISHING ABYSSINIAN OIL. DIRECTIONS: AFTER CLEANSING, MASSAGE THROUGHOUT DAMP HAIR. ANTI AGING. LEAVE ON FOR 3-5 MINUTES. FOR VERY DRY, COARSE HAIR. OPTIMAL SHAMPOO & CONDITIONER PERFORMANCE, LEAVING. LEAVE ON FOR 5-15 MINUTES. FOLLOW WITH SHAMPOO & CONDITIONER. DIRECTIONS: DISPENSE ONTO WET HANDS & APPLY TO DRY HAIR. To use: Massage between wet hands before massaging throughout damp hair. Rinse thoroughly. Every Alterna Caviar product contains sustainable caviar extract sourced from France. 100% Free of parabens, sulfates and synthetic colour. Hair Mask with Enriched Keratin Complex vitamins to treat and nourish to the hair shaft. Healthy and nutritious hair. 18 gram each sachet. Give us a shot and we will make sure that you will look to us again! Directions of use: • Apply to clean, towel-dried hair and distribute evenly. Leave for 2-5 minutes before rinsing thoroughly. Need help or advice?. View Related Products. 2 X JOHN FRIEDA FRIZZ EASE EXTRA STRENGTH 6 EFFECTS SERUM. ELIMINATES FRIZZ. FOR COARSE EXTRA FRIZZY HAIR. Introducing new Elvive Smooth-Silk Intense Anti-Frizz Serum, specifically for dry, coarse or thick frizzy hair. It nourishes and protects for intense smoothing. Laboratory test shampoo, conditioner and serum vs. classic shampoo. Luminosity for course hair. Color Extra Rich. As with skincare, haircare products need to treat each hair type differently, respecting their unique characteristics. BC Keratin Smooth Perfect – for thick, coarse, unmanageable frizzy hair. Keratin is used. Goldwell Dual Senses Color ExtraRich Serum 12x18ml 216ml Women. Adds intensive shine. Intensively nourishes the hair. How it works Protects hair from humidity. What it does. 5x John Frieda Frizz Ease Original Serum. Fight frizz and all its causes. Preparation and Usage Directions: Start with soaking wet hair. Dispense 1 pump of serum into palm and rub hands together. Spread evenly through hair, avoiding the roots. No wonder COCOCHOCO is now the leading smoothing system in the World! COCOCHOCO Professional. COCOCHOCO Clarifying shampoo 400ml. 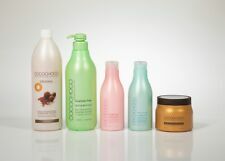 COCOCHOCO Sulphate free shampoo 1000ml. COCOCHOCO Sulphate free Conditioner 400ml. Course and frizzy hair. This serum instantly and dramatically transforms coarse, wiry, unruly frizz for ultra-sleek, purely polished, super-shiny results. Repels humidity to help prevent weather-related frizz. Rich in vitamins E and F this serum will smooth the scales of the hair, reduce the signs of ageing and bring shine to dry thick hair. The Shea Butter will nourish dry and split ends leaving hair feeling revitalised and instantly supple. No wonder COCOCHOCO is now the leading smoothing system in the World! COCOCHOCO Professional. 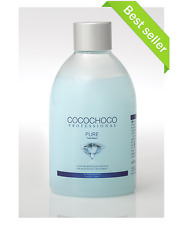 COCOCHOCO Clarifying shampoo 400ml. COCOCHOCO Sulphate free shampoo 40ml. COCOCHOCO Sulphate free Conditioner 400ml. Schwarzkopf Excellium Anti Dry Serum 30ml TC. Giving an excellent hair feel after colouration. Wella Color Brilliance Line Shampoos, Conditioners and Masks are available in 2 versions; for coarse hair and fine/normal hair. $Moroccanoil BLOW DRY Concentrate SMOOTH 50ml / 1.7 oz Highly Concentrated Argan Oil Infused Blow-Dry Smoother Tames Even The Most Unmanageable Hair For A Polished Smooth Look. Seals In Shine And Enhances Ease Of Blow Dry, While Providing Intense Frizz Control. FREE SHIPPING WORLDWIDE We will ship your item within 1-2 days after your payment is clear. I will ship the package as a REGISTERED AIR MAIL, your signature is required. It is the responsibility of the buyer to handle any Taxes Customs fees or Duties in the receiving country. Directions for use: After shampooing, massage into damp hair. Leave in for 5 minutes. Rinse thoroughly.nce. Get In Touch. Get Social. Schwarzkopf Professional OIL Ultime ARGAN FINISHING OIL 100ml / 3.3 fl.oz.